What happens when you combine years of product design with ultimate material quality? The perfect sub box! 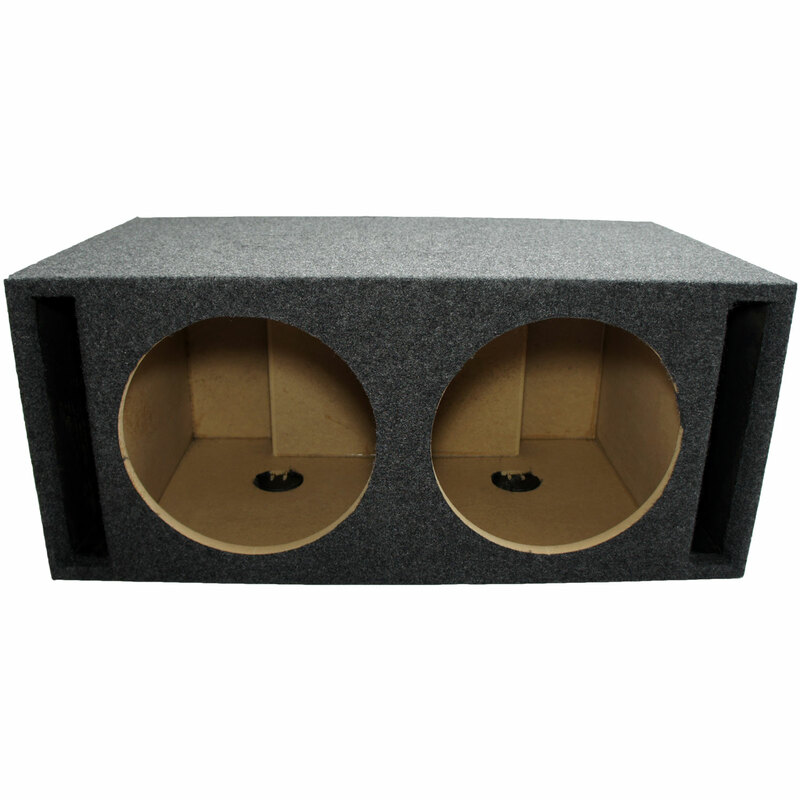 Our dual 12" transmission series enclosure ideal for mid to high end subwoofers and features a patent pending vent design that simply cannot be found elsewhere. So what is so special about the port? If you were to cut open the enclosure you would notice a snake like shape that channels the airflow from the interior of the box outward. 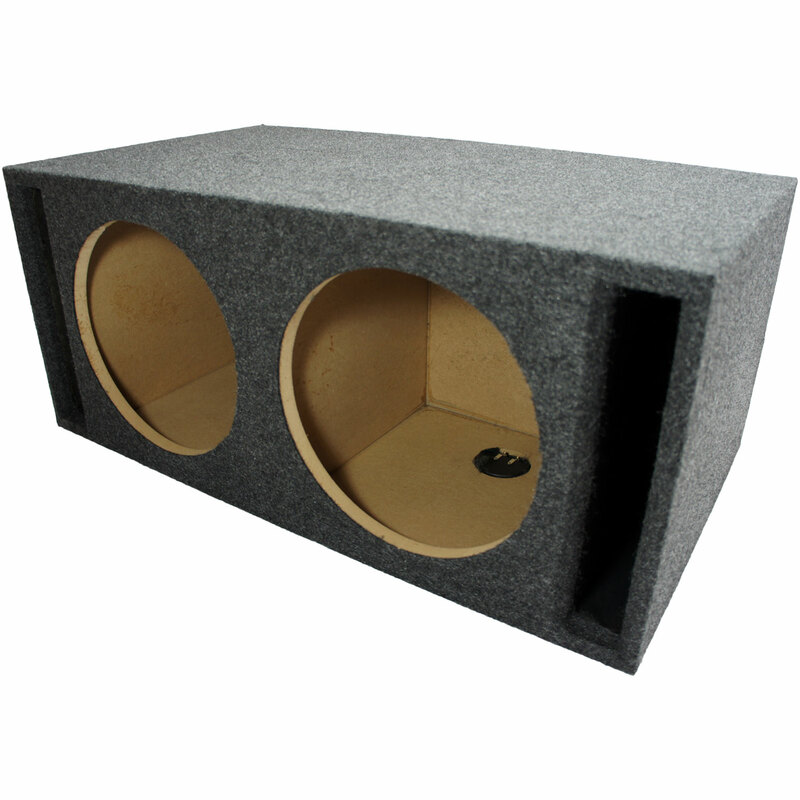 The purpose of this is to tune the frequency of the enclosure and also increases the back pressure to create the absolute maximum bass output! 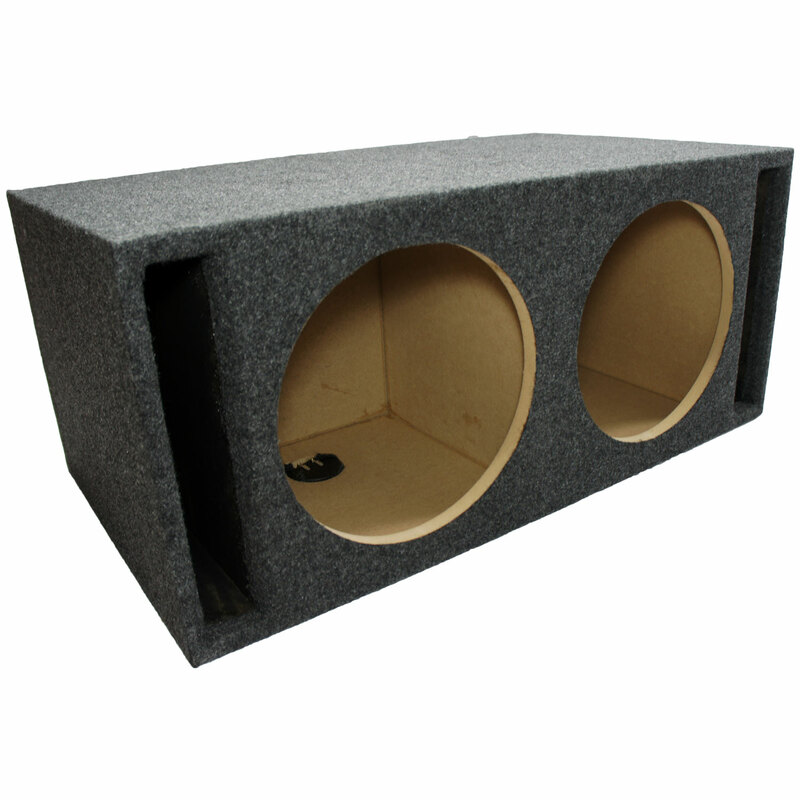 This baby is made from 3/4" MDF wood all around so you know it is one tough hard hitting bass machine! Dimensions: Width 32-3/4" x Height 14" x Depth 18-3/4"